As we reported recently, Apple’s App Store was a victim of a large-scale attack, infecting a bunch of iPhone and iPad apps, mostly from China, with malware. 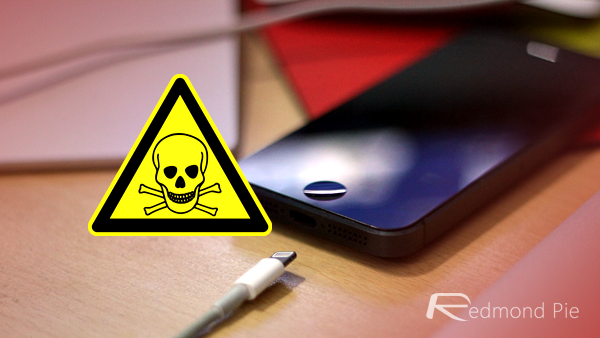 The malware, aptly named XcodeGhost owing to the way it got past App Store’s security in the first place, has so far infected hundreds of legitimate apps on the App Store, and in turn has made its way through to millions of iOS devices by now across the globe. All of this has resulted in a major security nightmare for the Cupertino tech giant. In a statement to Reuters, Apple spokesperson has now confirmed the breach and suggested that Apple has removed all the infected apps from the App Store. Earlier, about 39 legitimate iOS apps were identified as having been infected, and now the list has mounted to a staggering 85 according to some sources, while others pitch the number at over a hundred. If you have any of these apps installed on your iPhone, iPad or iPod touch, we suggest deleting them right now and wait for Apple to give a green signal for the new updated and malware-free version of these apps. So how did all of these apps get infected in the first place? It turns out that developers, mostly from China, downloaded a counterfeit version of Apple’s Xcode program which resulted in the compiled apps containing the said malware. Apple’s Xcode is available to download for free from the Mac App Store but these developers apparently chose to downloaded the counterfeit version of Xcode from a third-party site because Apple’s servers were slow to download from China. We’ll keep you updated on more information regarding XcodeGhost malware as it becomes available. Stay tuned. I got NONE of em! Got none, and ppl said iOS was free from malware and stuff. No OS out there is free from malware, sooner or later someone will develop a malware for any OS. There’s no excuse for a developer downloading XCode or any other similar software from any site other than the official site. That there are apparently some mainstream developers on this list shows stupidity knows no boundaries. Now, Apple is going to have to come up with a me hanism for them to ensure that software submitted used genuine developer tools. I loved oplayer and now I’m sad to delete it. They downloaded it from Baidu which is faster than the mac app store in China. But apparently its infected. So Rovio used an infected XCode ? It doesn’t matter where it came from, if it didn’t come from the official source, DON’T TOUCH IT! It’s not like the time saved is worth the risk, and the time saved is certainly less than the time it would take to go through the Xcode to make sure it wasn’t tainted. People are told not to download pirated software because it could contain malware. You’d think a developer would know even better than and end user that any unofficial source should be untrusted. Well in the end at least the code itself will be updated and be safer what will prevent even worse malwares in the future. This goes to show how little common sense and awareness even big companies with dozens of developers have. Endangering their own business reputation, sales, customers, just to save a bit of time downloading xcode from some baidu post… rather than from apple itself. How (Yes I’ll go this far) stupid you have to be to do that.